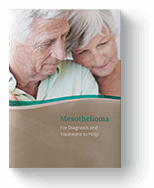 If you have been diagnosed with mesothelioma, talk to your doctor today about newer treatments and clinical trials that could be useful in helping treat your specific type of mesothelioma. Birnie, Kimberly A., Cecilia M. Prete and Phillip J. Thompson. "Targeting microRNA to improve diagnostic and therapeutic approaches for malignant mesothelioma." U.S. National Library of Medicine. National Center for Biotechnology Information (NCBI), 29 Sep. 2017. Web. 24 Sep. 2018. Sbarro Health Research Organization (SHRO). "New MicroRNA Target May Inhibit Mesothelioma and Unveils Method to Identify Potential Treatments." Newswise. Newswise, Inc., 24 Aug. 2018. Web. 24 Sep. 2018.